Race Times: 9 a.m. – both the 2.5-mile and 5-mile race will begin at the same time. Awards: A certificate for a turkey will be awarded to the first place finisher in each age division of the 2.5 and 5-mile race. Results: Stay tuned for results following the race. Questions? Contact the Wahlert Catholic High School office at (563) 583-9771 during regular school hours, or contact Coach Tim Berning at tberning@holyfamilydbq.org. 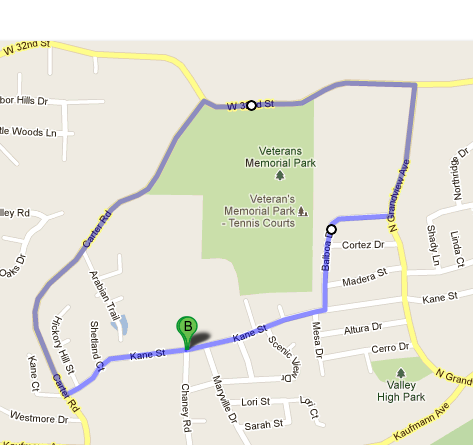 2.5 Mile (see map below) – Start in front of Wahlert Catholic and head west on Kane St. go right on Carter Rd. then right on W 32nd St. take a right on North Grandview Ave. go right on Balboa Dr. then right on Kane St. back to Wahlert Catholic for the finish. K–5 students: Join the Turkey Trot Running Club and earn a FREE Turkey Trot entry! 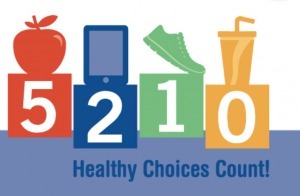 The Iowa Department of Public Health, through their 5-2-1-0 Healthy Choices Count program, has awarded Turkey Trot with a grant to help promote healthy eating and active living for children and families. We will be offering free running sessions for Holy Family elementary (K–5) students over the next two weeks. If a student attends two or more of these practice session they will receive a free entry into the Turkey Trot on Thanksgiving Day! Parents will sign their student in on their first night of attendance. Sessions will be led by Chuck Tigges (Wahlert Boys Cross Country coach, Wahlert Girls Track coach, Physical Education teacher at St. Anthony and Holy Ghost). Please be sure to dress your student in outdoor apparel! If you have questions, contact Chuck at ctigges@holyfamilydbq.org. The 2018 turkey trot is partially sponsored by the IDPH 5-2-1-0 program. How do Iowa kids stay healthy? 0 sugary drinks – more water. Office Hours: 6:30 a.m.–3:30 p.m.